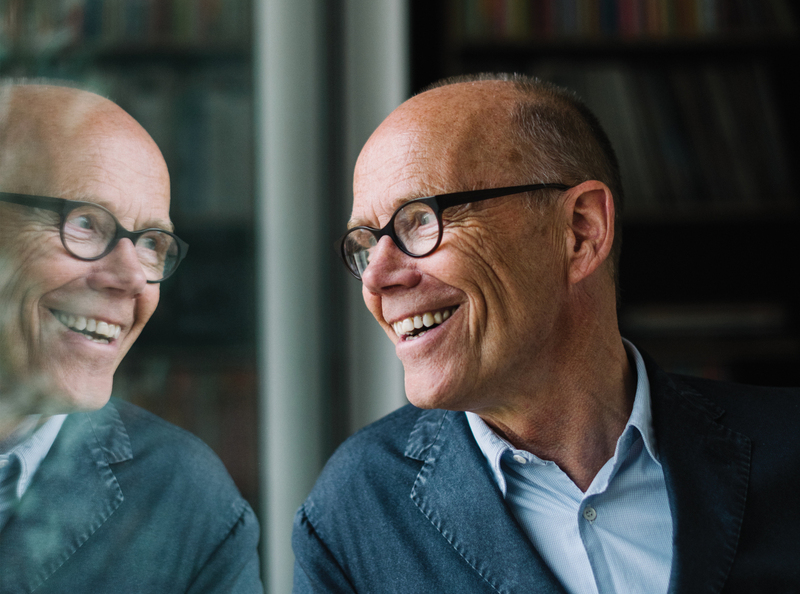 German font god Erik Spiekermann doesn’t plan to retire anytime soon. In fact, the 70-year-old doesn’t plan on retiring at all. Consider the following the rules according to Spiekermann, a primer on design, entrepreneurship, business, culture, and aging gracefully, as told through his stories. Erik Spiekermann insists he’s retired, that his whirlwind schedule and backlog of projects is all just a hobby. One day he’s in his hometown of Berlin, where he’s currently overseeing his experimental letterpress workshop, galerie p98a.The next he’s off to San Francisco, where Edenspiekermann, the digital branding and product company he founded, has an office. Then it’s on to Los Angeles for a presentation at the Art Center of Los Angeles, before flying across the country to speak at the Type Directors Club in New York City. He spends the next day in Manhattan – a Saturday – taking meetings beginning at 9:30 a.m. to plan future endeavors, rather than kicking back. Spiekermann photographed in his studio in Berlin. This is not a man who lazes away his days, especially when you consider that Spiekermann regularly takes his bike out for 20-, 30-, 40-mile spins. “Ever since I’ve had four stents put in my heart, I’m good as new,” he says. Given his body of work and superhuman level of accomplishment, however, Spiekermann could certainly justify never working another day in his life. The type designer, information architect, and entrepreneur has created branding for Audi, Bosch, VW and German Railways, as well as done a way-finding redesign for Düsseldorf Airport and a makeover of The Economist. Along with Edenspiekermann, he has founded two other businesses, MetaDesign and FontShop. We caught up with Spiekermann in New York City to reflect on his storied career, understand how he parlayed his creative talent into a number of thriving companies, and learn why he needs to live to 100 to be able to finish half of what he has on his plate in the coming years. You arrived for and were ready to do this interview 10 minutes early. Have you always been this prompt? I’ve learned this over time. I don’t know why, because I’m creative, I guess, I was always five minutes late to everything. When I was at MetaDesign in the ’90s, there were regular meetings with a dozen people and everybody had to wait for me because I’m the boss. Then one time, I worked out the math that if I’m five minutes late and there are 12 people sitting there, that’s 60 minutes. And if every one of those people charges $100/hour for our client work, then I’m wasting $100 by having people wait for me for five minutes. I know it doesn’t quite work that way, but it does add up over time. From that day on, I realized I could be five minutes early. You strike me as someone who operates with maximum efficiency. No, no, no. I am a weird mix. I am incredibly precise and very chaotic when it comes to my own life. I have no plan. I just wing it. But I am terribly fastidious when it comes to the small stuff. When I do typography, it’s 150 percent effort. With meetings like this, I’m always on time. And everybody who is not drives me crazy, because it’s rude and inefficient. Being on time is a sign of civility between two people. In my work, I am incredibly teutonic and fussy, and I’m trying to be a little more relaxed. Because I’m terrible that way. My wife complains about the fact that I’m like this. Galerie p98a was supposed to be a hobby, not a business. But it turned into – I now have 20 proof presses. Who needs more proof presses than any museum probably? It is not because I want to die with the most proof presses – I probably will – it just happened. Work is gas. Work will fill any given volume. If you give me two hours, I will take two hours. If you give me 10 minutes, I will take 10 minutes. So if you give somebody two weeks to do a project, he’s going to start on day 12 and it will take him two days, but the two weeks will be filled because work expands like gas. Straightforward physics. That’s why I don’t believe in time sheets, because you always happen to have eight hours at the end of the day. You make up stuff. I felt that if our business model means that people have to work overtime or weekends, the business model stinks. So everybody is out by 7 p.m.–we literally close the doors at 7 p.m. –because if you have to work overtime, then your model stinks. And if the clients require you to do weekends, then the clients aren’t right. They wouldn’t do it themselves. Like if you tell someone they can go home once they’re done with their work for the day, and not necessarily a specific time like 6 p.m., they tend to get their work done earlier than 6 p.m. I know a lot of advertising agencies that thrive on overtime because they have a dozen interns who work for free and they spend their weekends doing free pitches. We don’t do free pitches because we don’t have any free time. Our time is valuable, and I’m not giving away ideas to some prospective client. That’s giving away the most valuable resource you have. So you contract your pitches as part of the project fee? Clients come in and they discuss working with you, so of course you have to show them something. But a lot of clients, they want us to make some sketches to show what it could look like. That’s already the work we do. That’s the meal. We’ll discuss the menu with clients but once they sit down and eat the first bite, it’s chargeable. I’m not giving away any creative work for free. Once we know what the project is, we’ll tell you how much it’s going to cost. But we won’t deliver any ideas for free. We deliver a proposal that describes the work and the timing. At 70 years old, you say you’re retired, and yet you remain quite active in your work. Retired means that nobody pays me. That’s what retired means. You’re doing the same work, just with no pay? I do different work, things like designing watch faces, stamps, or coins. Making a character work at four point size, and not at 40-point is incredibly inspiring. You don’t do these for the money, but it’s great fun. What first led you to parlay your creativity into a business? It was necessity. I went to university in Berlin, but my first wife and I had a child very early on, at 21, while I was going to university. So I had to work, and I didn’t ever graduate. Paying for the family meant I was doing all sorts of things. I could design stuff and print stuff for people while doing artwork as well. That’s how I sold myself. I drifted into the freelance life and then we went to London. What motivated you to go there? The motivation was mostly negative. My wife at the time, Joan, was English, and we rented a really nice house when my son was born in Berlin. And then the owner of the house pushed us out after two years. We were so devastated that we said we might as well go to England, where Joan comes from and where I’d previously been in the ’60s. We went to London in 1973. I worked nights doing typography for a company called Filmcomposition, until I put together a résumé in 1977 and sent it to bunch of agencies offering me work. I got a call from Wally Olins at Wolff Olins who said they had all these German clients, and I went over to Wolff Olins and took care of all of them, like VW and Audi, on freelance terms. At the time in Germany, there weren’t any large corporate design studios. There were only mom-and-pop shops, so all the big brands went to England or to America. I became the Germans’ connection to Wolff Olins on the production side. I ended up starting MetaDesign in 1979 while I was still at Wolff Olins and returned to Berlin in 1981. How did you decide to start another one of your businesses, FontShop, in 1989? Because I was in the type scene I first visited Adobe’s offices in California in ’87 or ’88, and I brought back all of these fonts from Adobe on computer disks because we didn’t have them in Europe yet. Pretty soon, more people in Europe were asking me for fonts, so I thought that there was a marketplace here. I persuaded people like Adobe to give me fonts to sell on consignment and suddenly I had about 800 disks with 800 fonts in the cellar underneath our studio in Berlin. It was the invention of the mail order font business – this was before downloading and the Internet. 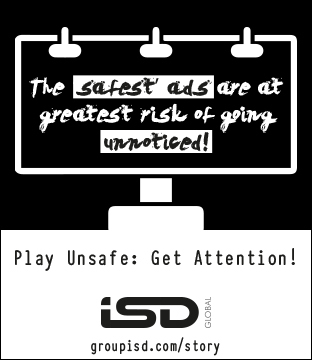 We had a phone line and we put ads in the local graphic design magazines in Berlin, and the next day the phones rang and there was cash suddenly. It was me and my, by that time, ex-wife, in the MetaDesign Studio, which was only six or seven people. We had one desk that was called the FontShop desk. It was a telephone and literally a chair. It was a mom-and-pop shop that grew, and after three years, we had 40 people working at FontShop. What was the most valuable lesson you took back to Berlin from your time in London? I learned that a brand isn’t a logo. There has to be implementation. You can design anything, but if the rubber doesn’t hit the road, you’ll be remembered as a great strategist but the client won’t call you again. You have to have a strategy, and you also have to be able to visualize it – one doesn’t go without the other. So I wasn’t a graphic designer anymore. I was a corporate designer, which is quite different. It means you can charge more? Charge more, yeah, but now you think in systems. You know that a logo needs to have typeface with it, it needs to have a color system and needs to fit into the environment. It also needs to physically work. We talk in pixels but still my concern is always: What does it look like when it arrives in people’s hands? What does it look like in my mother’s hands? Everybody’s mother is the average consumer. My mother is dead, but she always gave me my best feedback. Mothers are good because they kind of know us personally, but they don’t professionally. So they are well-meaning observers. And because they’re our mothers, we listen to them. What do you feel is the biggest challenge for a typographer in 2017? There is more copycatting than there has been. I can see two approaches. One is that you have a creative urge to design a typeface because you want to. You have an idea, and you don’t care whether it’s been done before. You want to express yourself in the writing system, so you design a typeface. If you’re very lucky, it’s unusual, it works, and it goes somewhere. These days, that happens now and again. Then the other school is that you have maybe a thousand foundries, and everybody has their version of the classics – Times, Helvetica, Futura, whatever – that they’ve done by going a little on either side of the classical direction. So that’s a thousand foundries, times 20, and now we have a few hundred thousand fonts. I’ve always designed typefaces for specific solutions. In other words, a problem. Everything has always been done for a specific purpose. As a designer, you work for somebody else. That’s not negative. I work for a client, and I solve their problems. I bring my artistic vision to it, my creativity, whatever you want to call it. But essentially, I’m being paid to blow somebody else’s trumpet. When you look at what other people are making these days, who is inspiring to you? I love some of the stuff that my ex-colleagues and friends are doing. One of my favorites is Commercial Type’s Christian Schwartz. In New York, I like Steven Heller, who writes a book a day, kind of. And Paula Scher and Louise Fili. Their work is so different from my work, and I thrive on that. Louise, who does mostly packaging and restaurants: I love that stuff, mainly because I can’t do it. And Paula’s rigorous approach to typography. I love that. And there’s always a bit of envy there, because I don’t have those clients. But more than envy, there’s appreciation. All these people have attitude. And I like people with attitude – that is probably the common denominator here. As an eminence in the world of design and typography, does your reputation make it harder or easier to create? It’s a bit of both. I mean, there’s a lot of disadvantages to being old. I hate being old. I wouldn’t say you’re old. Well, I’m 70, which is darn old. The advantage of being older is that you have no fear. You go into a new project and think, Look, I’ve done something like this before. I’ve cracked this one. We redesigned the visual identity for the Berlin Transport Authority after the Berlin Wall came down – chaos. We redesigned the Düsseldorf airport signage within four weeks after a fire. Every time you get a project, you think, “My god, how do I start?” The start is the most important part, and that’s where confidence comes in. When you’re older you have the confidence. And how do you start? You start by looking at the project and taking it apart, like boys and their toys. Then you put the parts back together. Sometimes you have a part left over, or you find parts that are redundant, or parts that need redoing. And then it will be new. The final thing about being older is that I won’t take bad behavior from clients. Like I said, no free pitches. Back to the retirement question: Are you ever going to retire? Of course not. I need to live to be a hundred years old to do half of my plans. Some of them go 50 years back. Like I want do a monograph on Louis Oppenheim, a German type designer, obviously Jewish, who died in ’35, luckily, before the Nazis could get to him. I’ve always liked his work. He’s up there with the greats and nobody knows it. He became a local hero, not an international hero. So that’s been something that I’ve wanted to do forever. I’m also printing books in letterpress, but using Macintosh technology, so using polymer plates rather than starting with Monotype or hand-set lead type. These things, merging digital and analog, have been on my mind for a long time. I know that I will never, ever sit by my fireside and just read books, even though I’m designing a lot of books at the moment, just regular fiction, because I’ve always been annoyed by the fact that so many books are badly designed. I’m not talking about the covers but the internals. There’s no excuse why big publishers can’t have a decent template. I’m reading more fiction because I’m designing a book every other week. I’m not getting paid for it, because the authors are friends of mine. I’ve noticed that I’m pretty good at InDesign. I get my style sheets done, and I design a book in an afternoon that might take other people a week. What about any passion projects outside the traditional realm of design? Maybe I’ll do some big international campaign to get rid of cardboard or plastic cups, which really concerns me. This really pisses me off. Some claim that globalization and the Internet are wiping out the pluralism and variety in design and typography through the standardization of styles. How do you see this? Globalization makes things the same, and the same can mean bland, but the same can also mean easy access. It means that I can go anywhere in the world and I can move around because certain things are standardized, like a street curb, which I appreciate. But globalization in a cultural way is bad because it leads to homogeneity. While I regret globalization to a certain extent, I sometimes see it bringing out the best in people. In Berlin, we’ve got more than 150,000 Turks who are second or third generation. They’re bringing their culture to Berlin. And people realize: Wait a minute. There is something else. You continuously travel around the world, from Berlin to London, San Francisco, New York, and beyond. How has crossing different cultural borders and barriers impacted you? It’s just simply going to other countries and seeing how people do things differently, whether you like it or not. I was always very critical of how the Brits couldn’t do implementation. And I’m a little underwhelmed with the American way of building – constructing those wooden sheds that will fold over with the next hurricane – because I’m a brick-building, concrete-building German. We tend to always build bunkers. Maybe because we started so many wars? But even if somebody doesn’t do something better than you, you learn about why other people do things differently. The diversity is incredibly confusing, but it’s incredibly enriching. As an avid cyclist, do you draw any connection between cycling and creativity? Oh yeah. A day without being on a bicycle is always a lost day for me. Obviously, there is the adrenaline and getting somewhere, but there is also vision. On a bike, I’m always at the height of an SUV, and I see so much more. I’m a sponge, and I read every sign, every license plate. A bicycle gives me physical and mental freedom. There’s nothing better than going around an unknown city and finding new stuff. Matt McCue is the senior writer for 99U. Previously, he contributed to Fast Company, Fortune and ESPN The Magazine. He lives in New York City, but he is willing to travel long distances for a good meal.